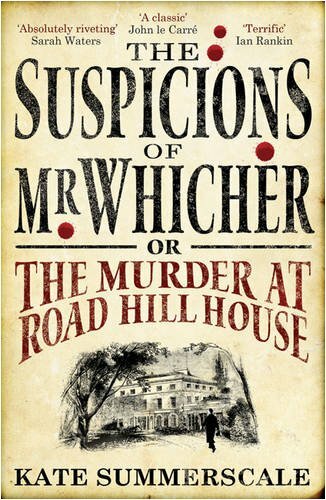 This exciting 2011 ITV Drama, which is based on the novel The Suspicions of Mr Whicher or the Murder at Road Hill House by Kate Summerscale , is being repeated on television. It starts with a gruesome murder in 1860 which has the Local police baffled, so the government dispatch Scotland Yard’s ‘Prince of Sleuths’ Jack Whicher (Paddy Considine) to rural Wiltshire to investigate the murder of three-year-old Saville Kent,who was snatched from his bed at night and killed. Everyone from Saville’s father to his nursemaids came under suspicion, and Whicher quickly comes to the shocking conclusion that the murderer must have been a member of the Kent household, and Saville’s nurse Elizabeth Gough (Kate O’Flynn)is a prime suspect. However she is later released due to lack of evidence. Meanwhile Local Superintendant Foley (Tom Georgeson) is convinced it is an inside job and gives his help grudgingly,disdainful of ‘modern’ methods,speculating that Saville woke to see Elizabeth with a lover,possibly Saville’s father (Peter Capaldi),an unpopular man. Part of a woman’s torn garment is also found,stained in blood,and Constance (Alexandra Roach),Kent’s sixteen-year-old daughter, claims she lost a night-gown. Dr. Stapleton (Ben Miles),the family physician,tells Whicher that Constance ,like her mother,is dangerously unstable and jealous of Saville. Both she and younger brother William (Charlie Hiett) hate their stepmother Mary,(Emma Fielding) their former nanny, with whom Kent had an affair. So Whicher arrests Constance but fails to get a confession from her and,at her trial, a clever lawyer gets her acquitted, discrediting Whicher, and with his reputation in tatters Whicher suffers a Nervous breakdown as a result…. A comet name 2011 L4 Panstarrs, which has taken millions of years to travel out from the Oort cloud will make a once-in-a-lifetime appearance in the evening sky this month. Throughout the month Panstarrs will be visible low in the west and there may be good picture opportunities on March 12th and 13th when it brushes past the crescent moon, although, it might be difficult to see the object without binoculars or a telescope. It will be visible in the twilight sky and then Towards the end of the month the comet will fade but rise higher in the sky, possibly making it easier to see, before its northward path takes it close to the Andromeda galaxy around March 30th 2013. Panstarrs is not expected to revisit our skies for 110,000 years, however another comet is expected to make a more dramatic appearance in November when Comet Ison flies close to the Sun, causing it to light up. Experts say it could be bright enough to see in daylight, but from the UK it will only be visible low in the sky.